Cassandra R. Green is a native of Louisiana but has resided in Michigan for the past 21 years. She earned her Juris Doctorate Degree from Western Michigan University - Thomas M. Cooley Law School in 1999, with a concentration in Litigation and General Practice; she also earned the highest honors in her District Court Practice. Cassandra earned a Bachelor of Arts Degree from the University of Central Oklahoma, which she received in 1996. Cassandra is admitted to practice in the states of Illinois, Michigan and the United States Federal District Court - Western District of Michigan. 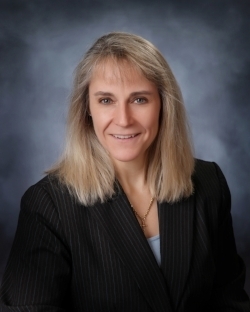 She holds a Certificate of Completion in the area of Probate and Estate Planning issued by the Institute of Continuing Legal Education and the Probate and Estate Planning Section of the State Bar of Michigan. Cassandra is currently a member of the Representative Assembly for the State Bar of Michigan and also serves on the Sparrow Clinton Hospital Foundation Committee and is the current Chairman of the Planned Giving Committee, as well as an active member of Rotary.